Click here to return to the main 2007 General Pictures Page. Click here to go back to Scotland 2007 Page 1. 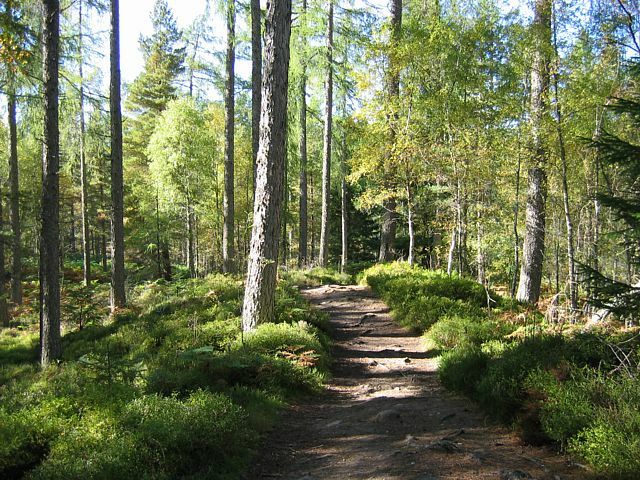 Click here to go to the Aboyne 2007 page. 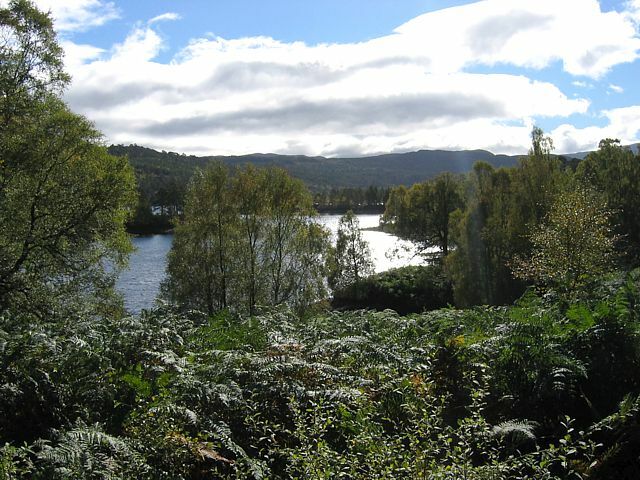 I made a holiday of it on the way to Aboyne. 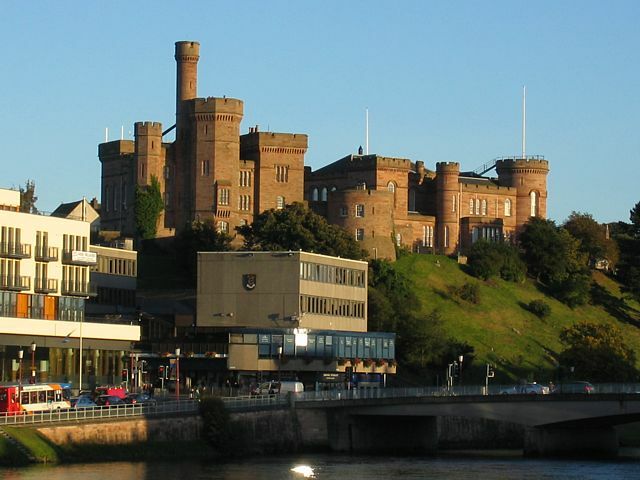 On the way I stopped at Carlisle, Fort William and Inverness. I stayed at Carlisle 1 night after exploring Hadrian's Wall and Housesteads Roman Fort. 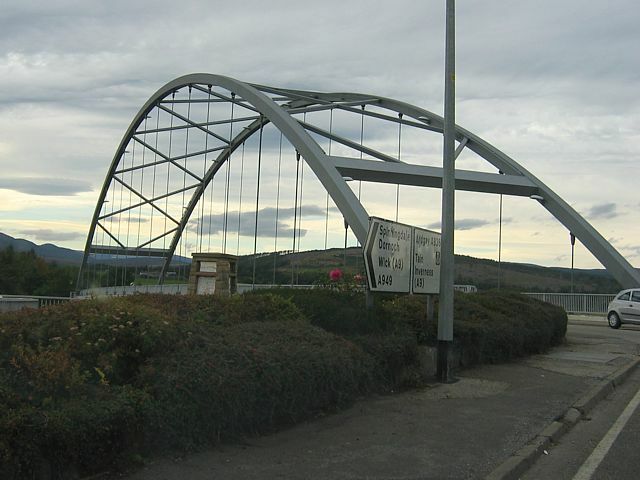 I then made a beeline for Glasgow and onto the A82 to get to Fort William for lunchtime. I had lunch at the top station on Aonach Mor after taking the gondola (cable car) up. 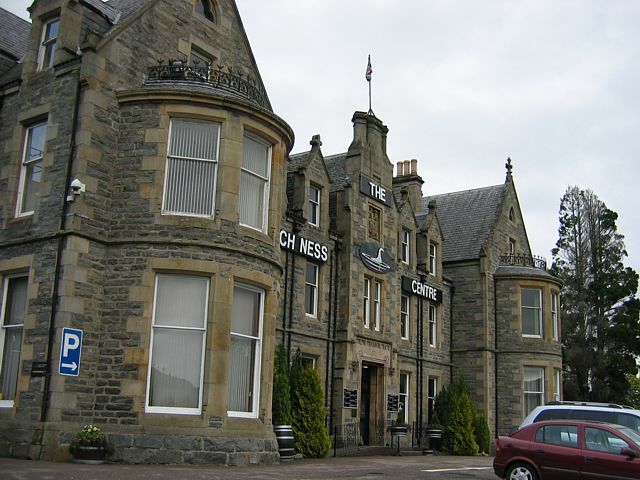 I stayed at Fort William for 3 nights. 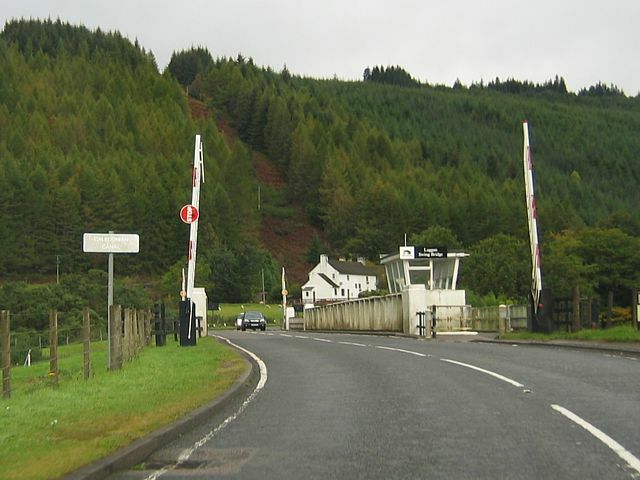 In the intervening days I climbed to the summit of Ben Nevis and explored the road to the Isles, over to Skye on the ferry and back via the Skye Bridge. 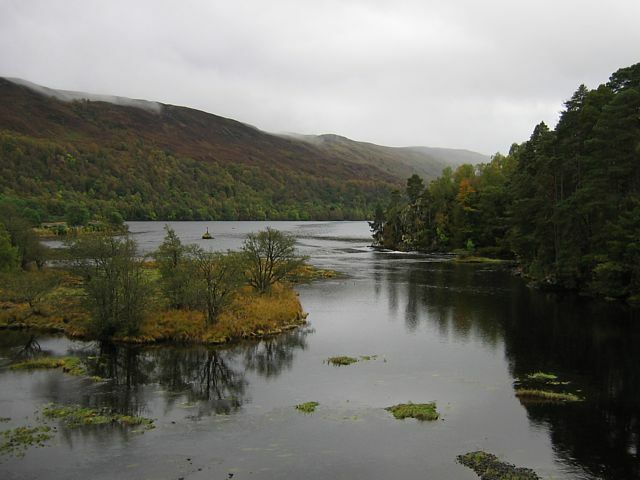 Then I transferred to Inverness via the Great Glen, Loch Ness and Glen Affric. The following day I had a blast driving to the north coast. 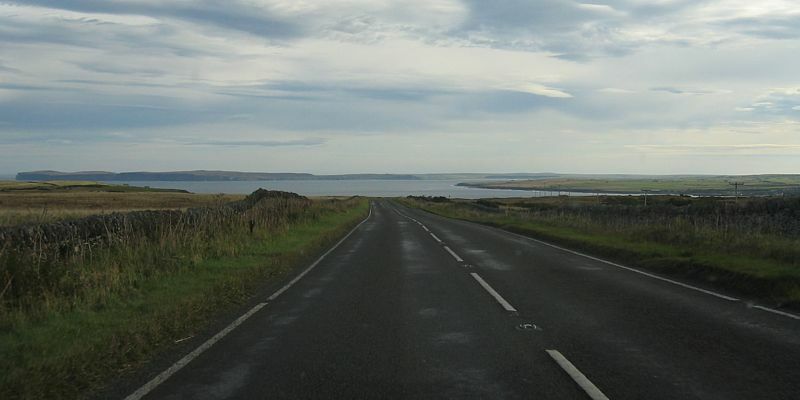 I saw Dunnet Head, John O Groats, Duncansby Head and across the water, the Orkney isles. Then on the 6th it was a blast over a couple of passes and back down to Aboyne as early as possible to start the gliding itself. 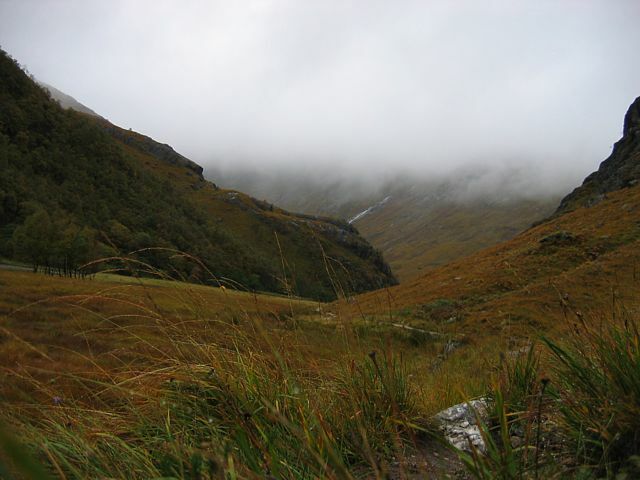 I started off with a walk along Glen Nevis to visit the spectacular An Steall waterfall. 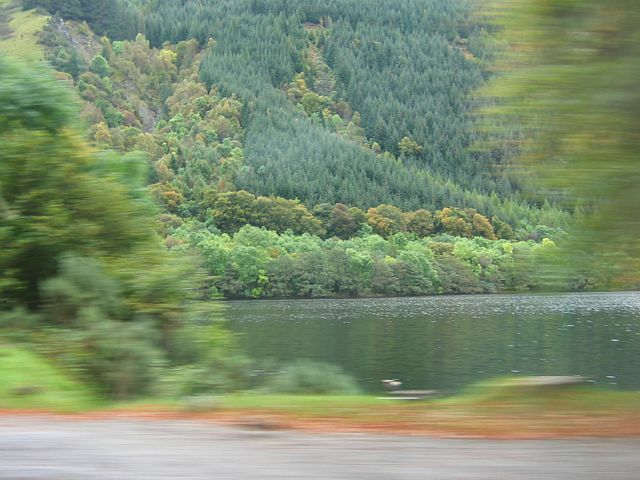 Then drove along the Great Glen to Loch Ness. 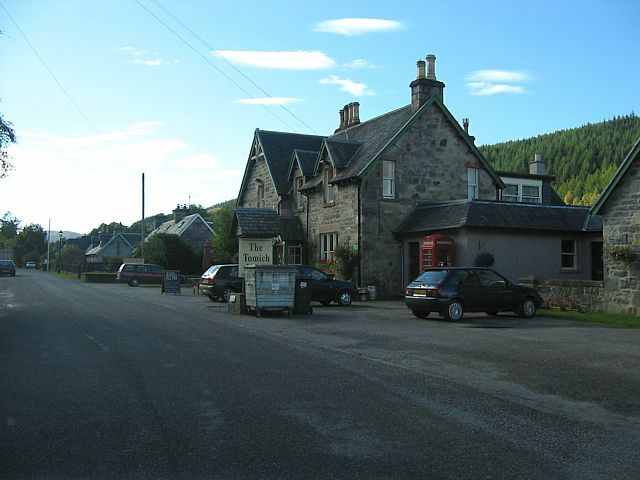 I had lunch at Drumnadrochit before heading north to Glen Affric. 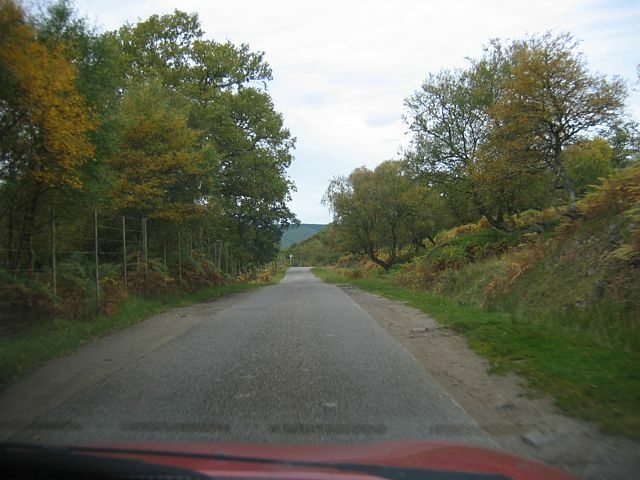 After exploring around there for a bit I took some back roads into Inverness. 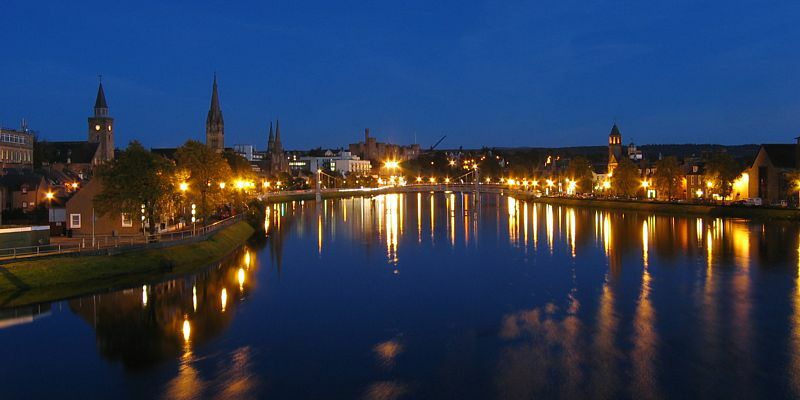 After checking in there I explored Inverness town centre in the evening. 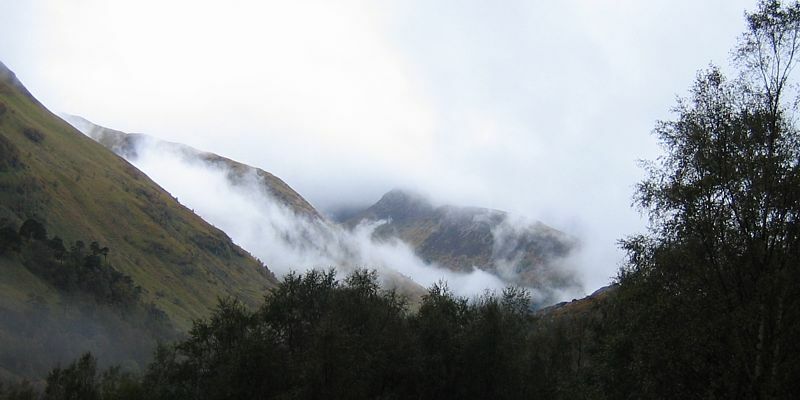 Low clouds in Glen Nevis. 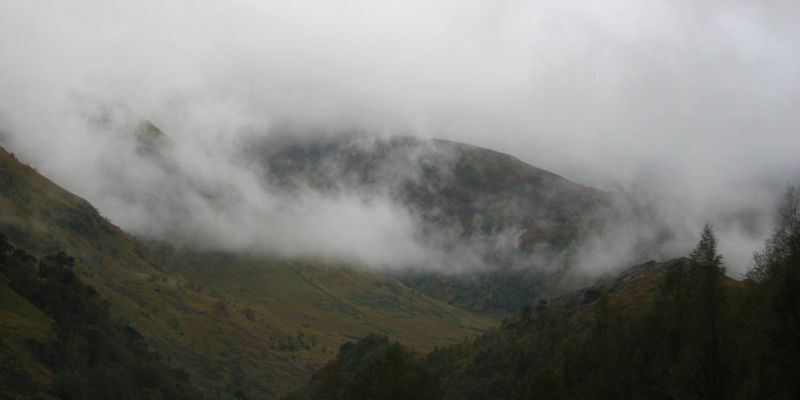 A much different day to yesterday with Ben Nevis invisible. 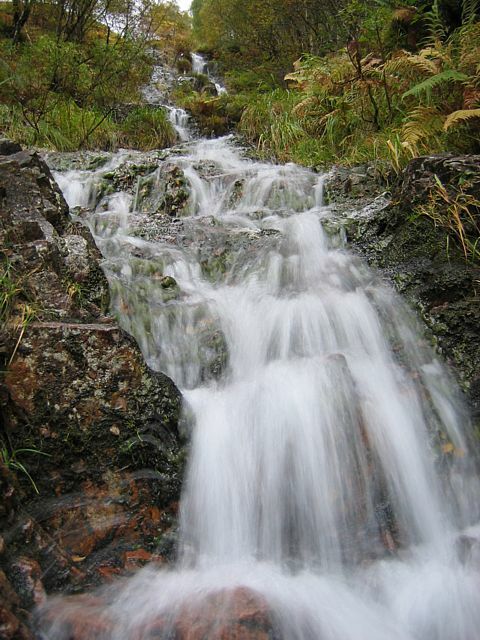 Slow exposure of a waterfall by the path. 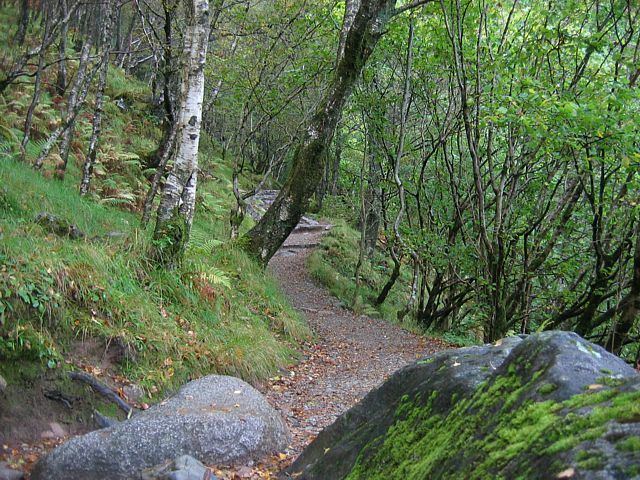 Woodland path heading for the gorge. 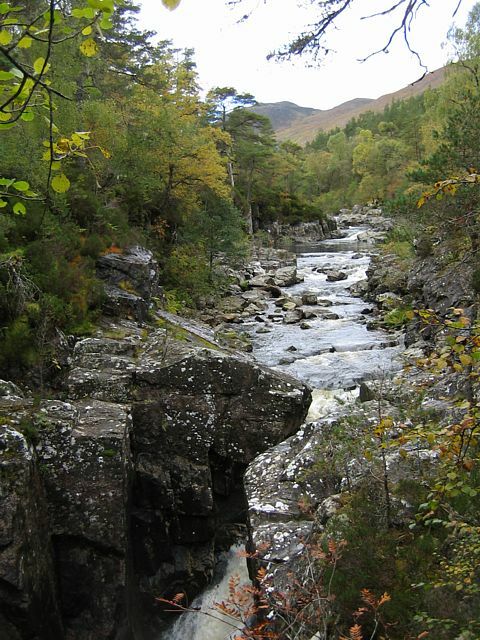 Upstream of the gorge I find a gobsmackingly beautiful glen in front of An Steall. 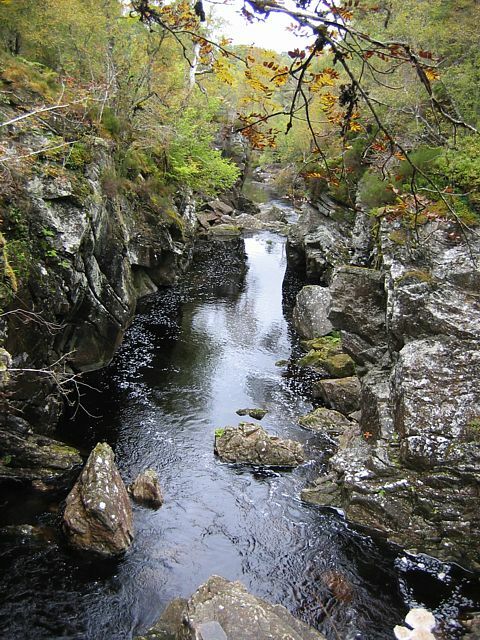 Looking down at the upstream end of the gorge. 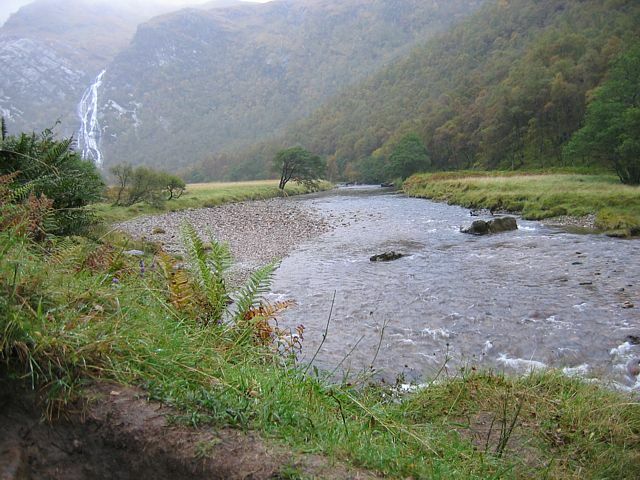 Looking behind me as I walk towards An Steall. 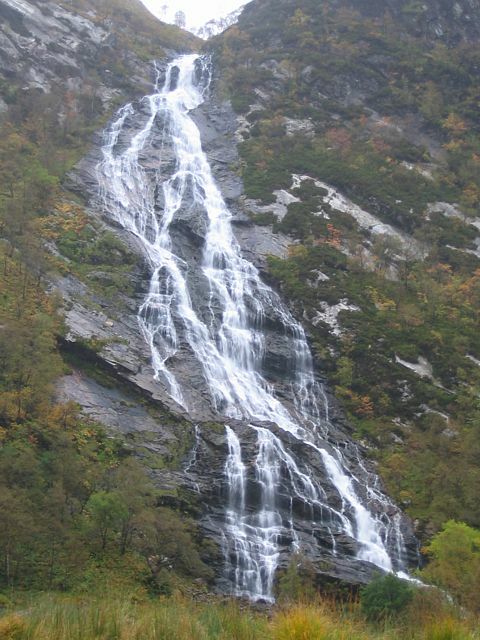 The large and spectacular An Steall waterfall. Looking back. 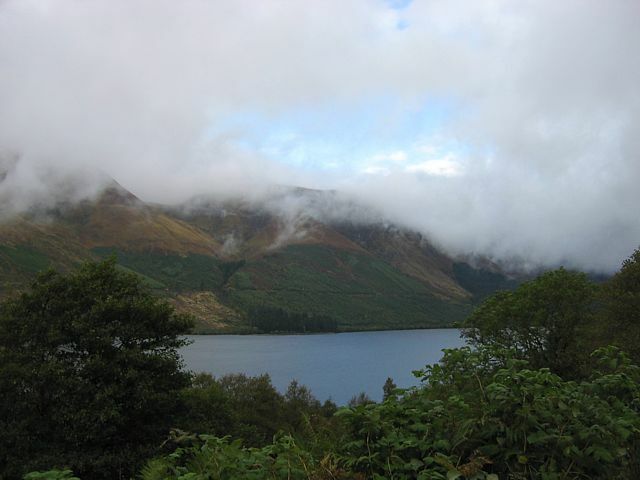 The distant waterfall 'coming out of the clouds' marks where the car is parked. Re-entering the gorge on the way back to the car. 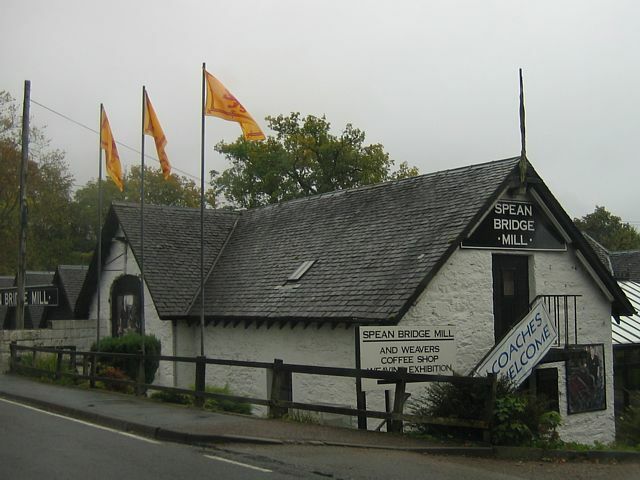 Driving past Spean Bridge. 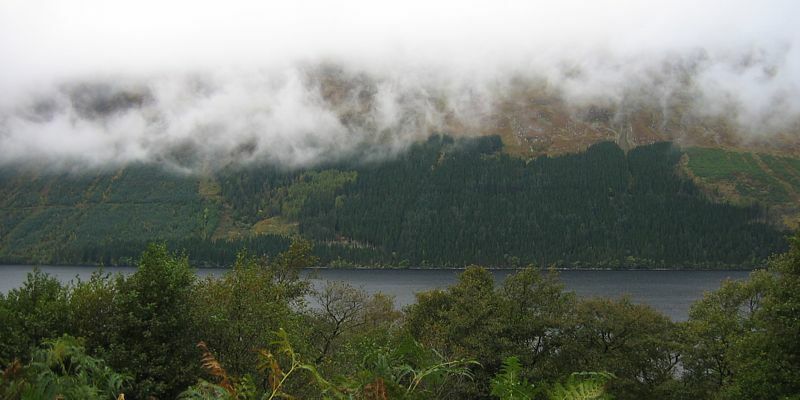 Driving past Loch Lochy as low cloud hugs the mountains. 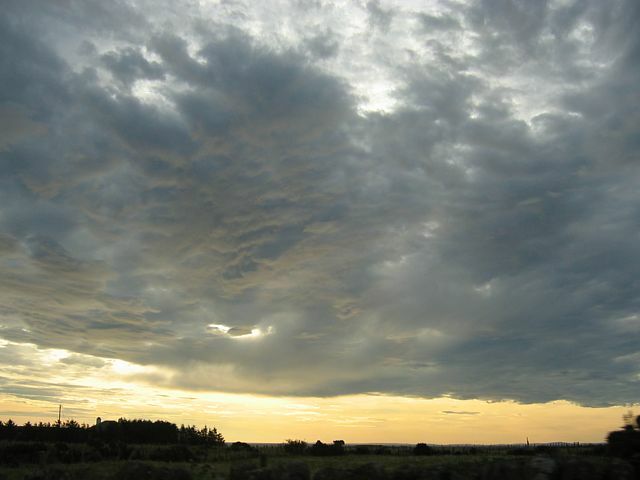 Improving weather from the west though. 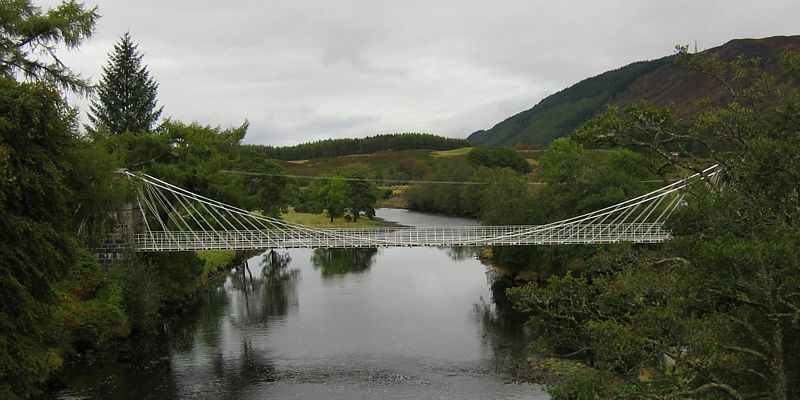 Laggan Swing Bridge between Lochs Lochy and Oich. 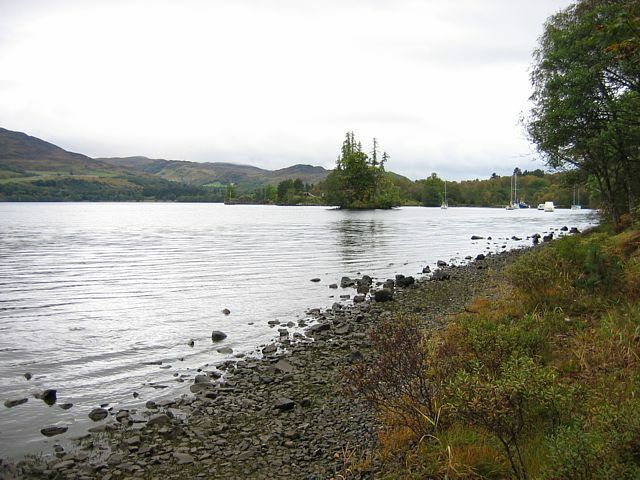 Loch Oich. 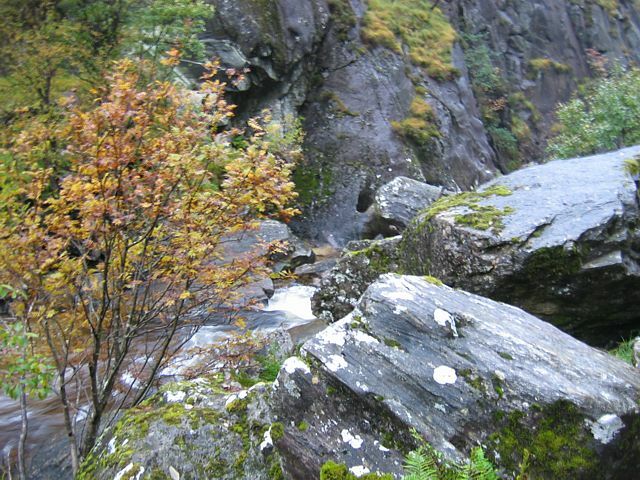 (2nd picture from near Bridge of Oich end). 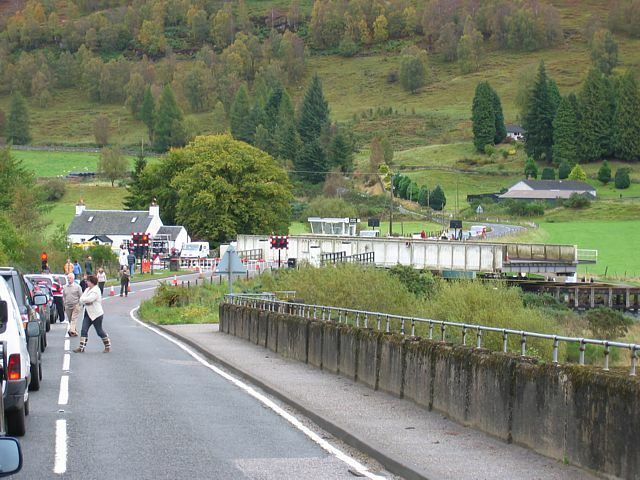 Pictures taken while waiting to cross the swing bridge at Bridge Of Oich. 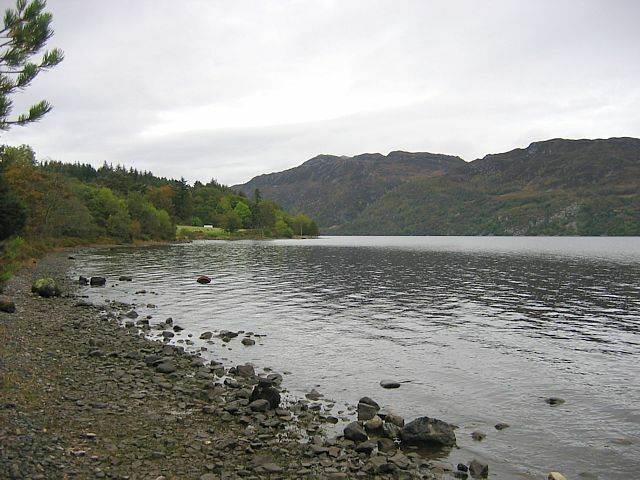 The southern end of Loch Ness and Cherry Island, a few miles north of Fort Augustus. Views from a view point at Achnahannet. 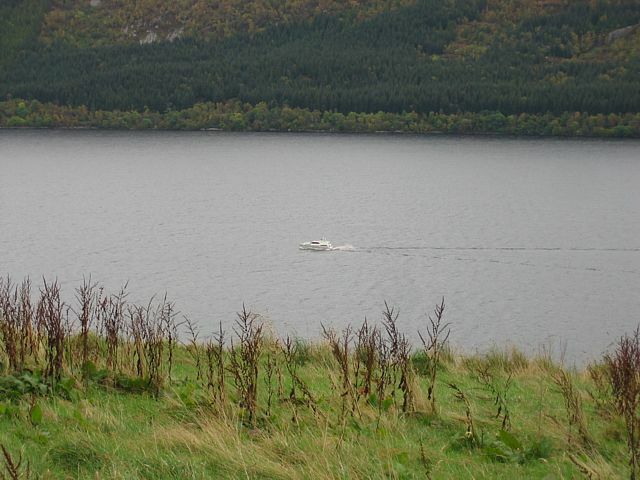 Nope still haven't spotted the Loch Ness Monster! One more views from Achnahannet. 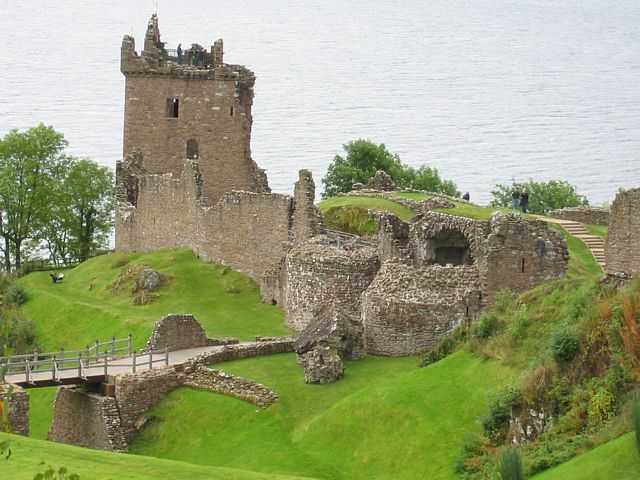 Urquhart Castle. 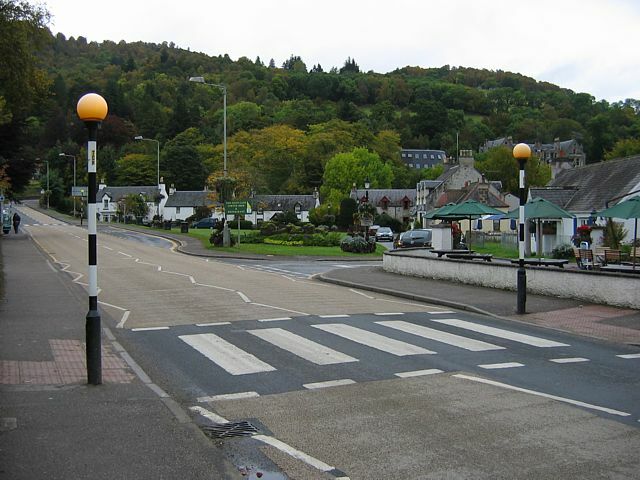 Drumnadrochit. 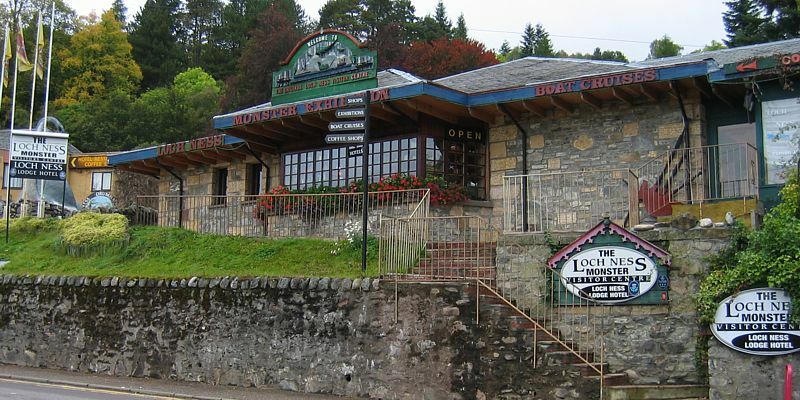 The two Loch Ness museums in Drumnadrochit. 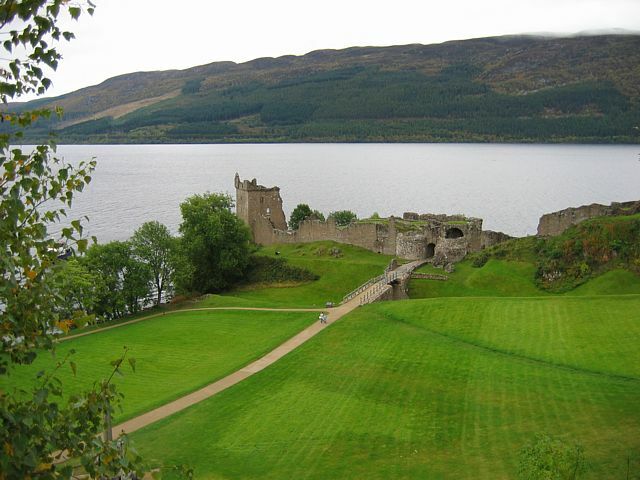 One focusses on the Loch Ness Monster, while the other looks more at the natural history. 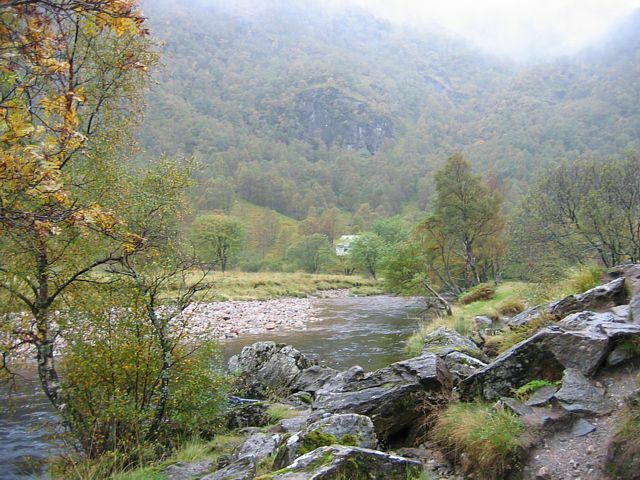 Driving off the main road into Glen Affric. 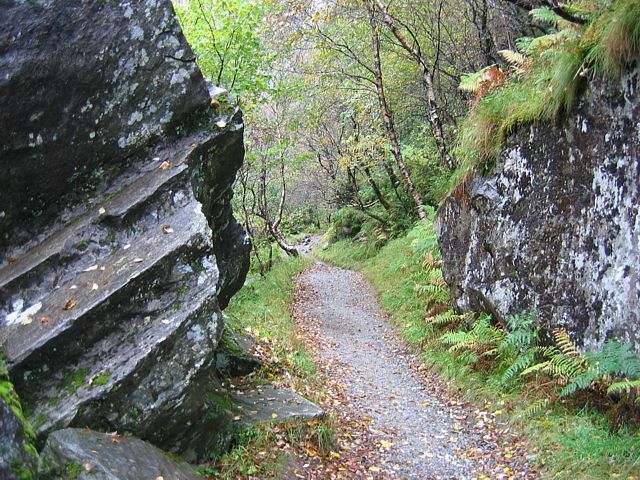 A gorgeous and empty albeit narrow twisty road. 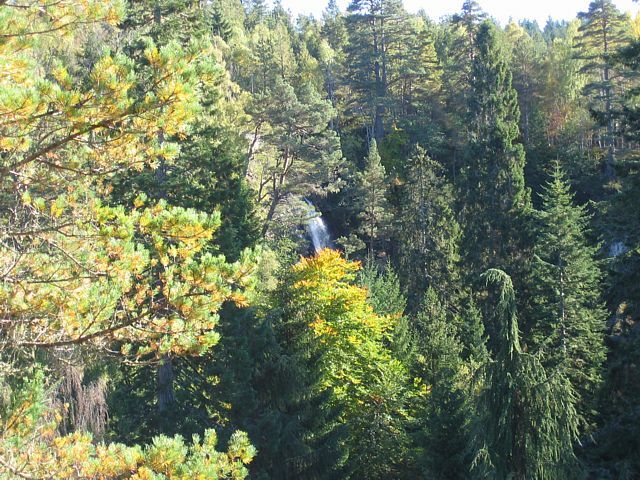 Looking down, upstream and downstream from a lookout point over the falls. 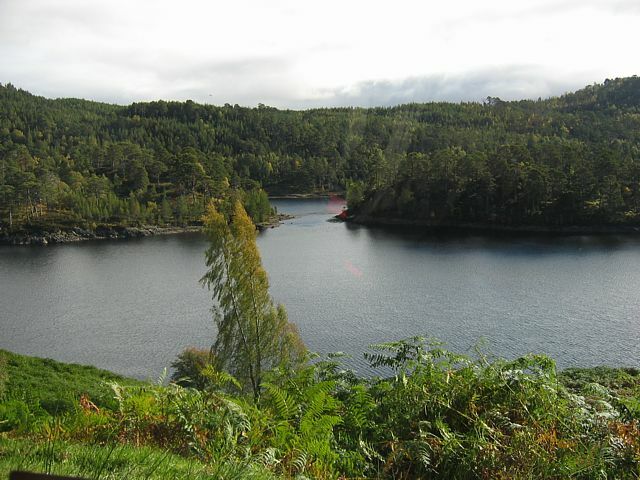 The eastern end of Loch Beinn a Mheadhoin - as far into Glen Affric as I went. Hooray the sun came out! 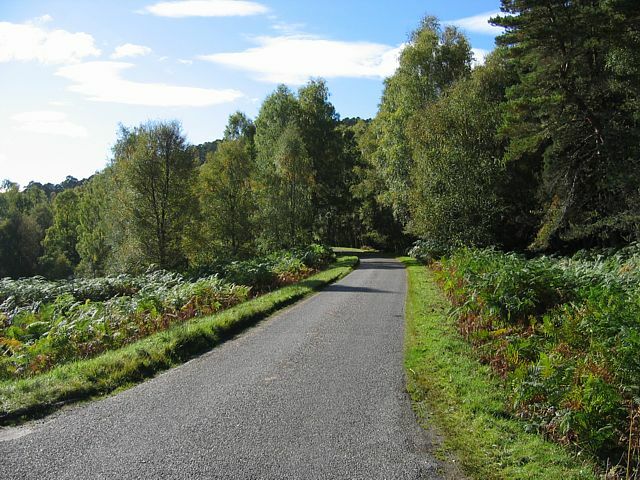 The road tempting me on towards Loch Affric. But I didn't go any further. 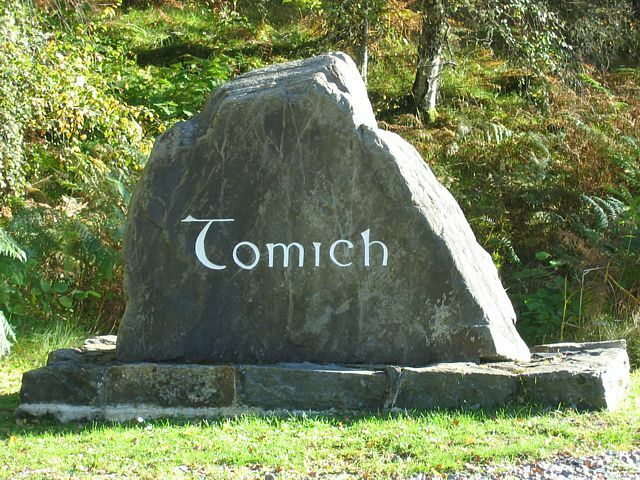 Driving through Tomich on the way to Plodda Falls. Is that the coolest village sign ever or what? 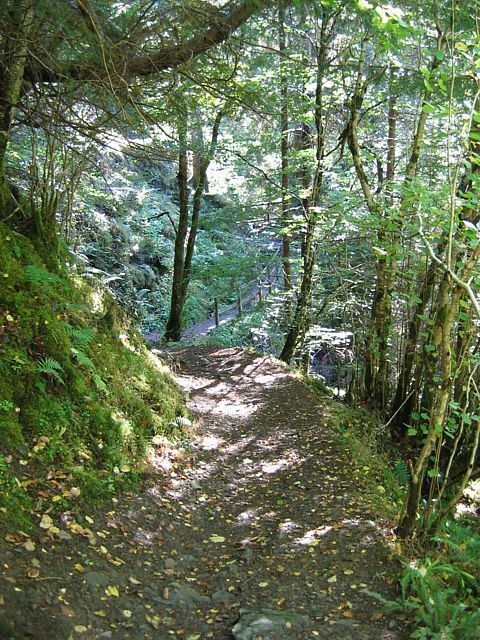 Walking along forest paths towards Plodda Falls, passing smaller waterfalls on the way. 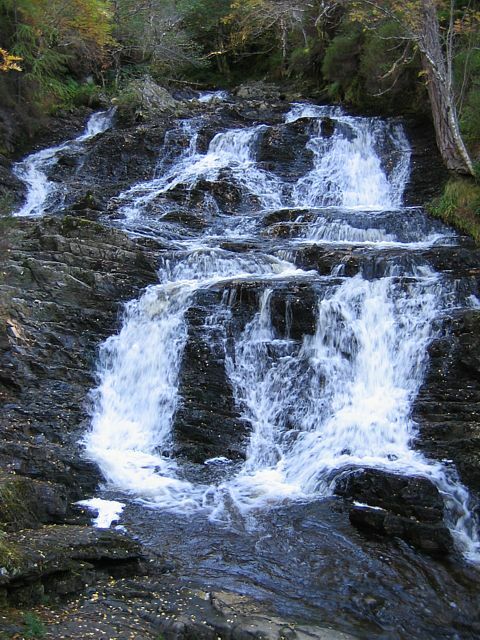 The biggest waterfall at Plodda Falls. Double height vertical panorama. Further along the path, looking back at the big waterfall. 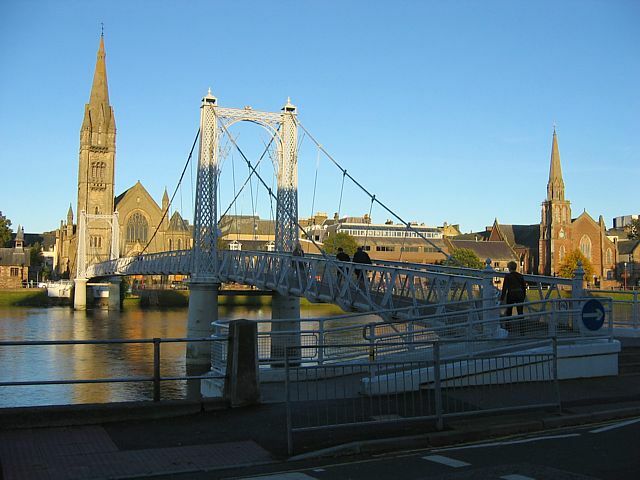 Footbridge over the River Ness looking North towards Inverness town centre. Castle on the Eastern side of the town centre. 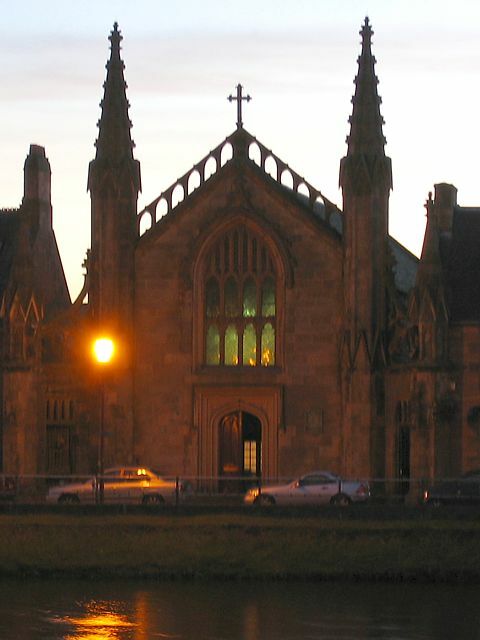 Lit up nicely by the sunset. 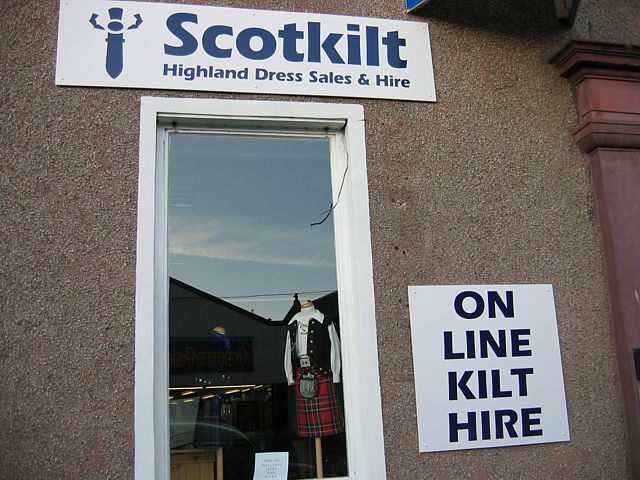 Online Kilt Hire. Just couldn't resist the shot! 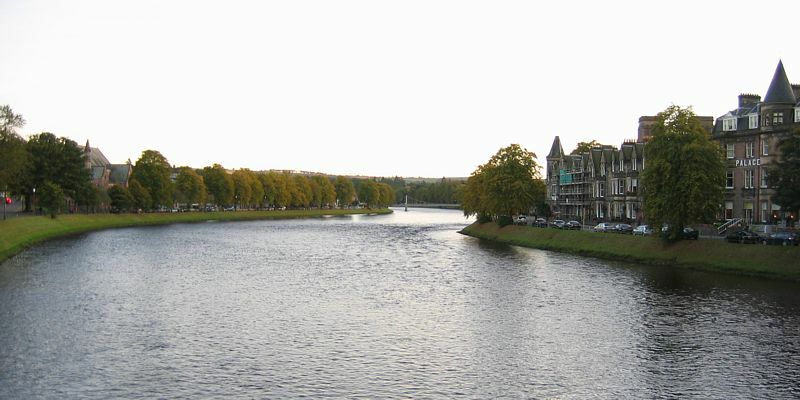 Looking up river from somewhere near the castle. Getting dark. Slow exposure of a church across the river complete with buttresses. Two 4 second exposures taken from the A82 bridge looking into town and towards the huge A9 bridge over the Moray Firth. 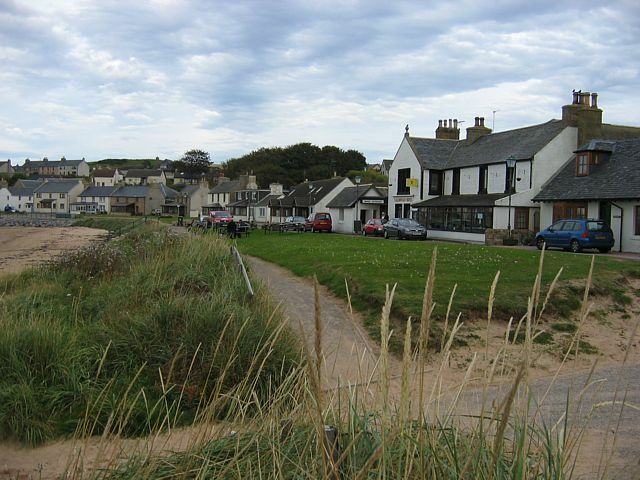 From Inverness I made a break for the north coast. 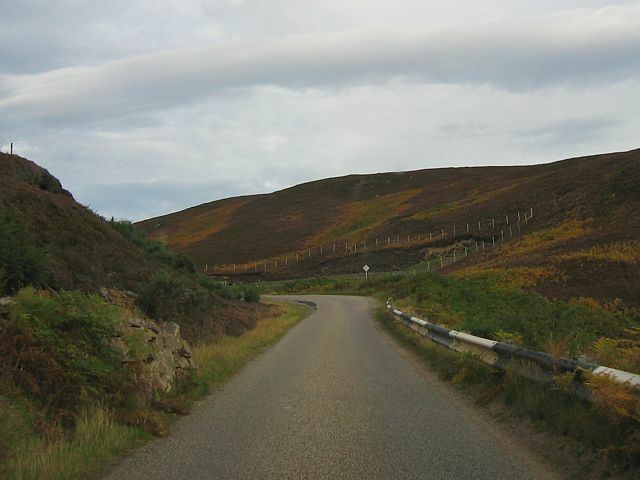 I followed the A9 to Helmsdale, before having a blast along the single track A897 to the north coast. 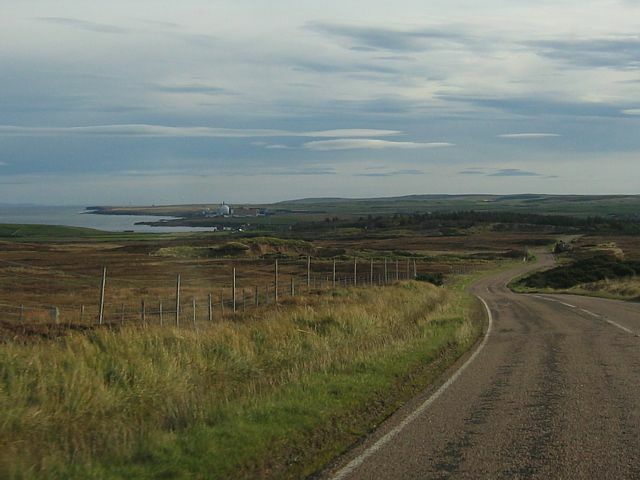 Then I went past Dounreay and Thurso to Dunnet Head. 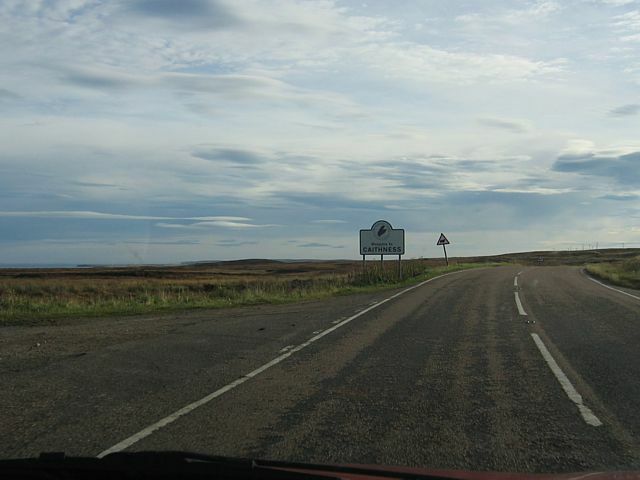 From there I visited John O Groats and Duncansby Head before following the East Coast back south. On the way back I decided to take a couple of diversions. 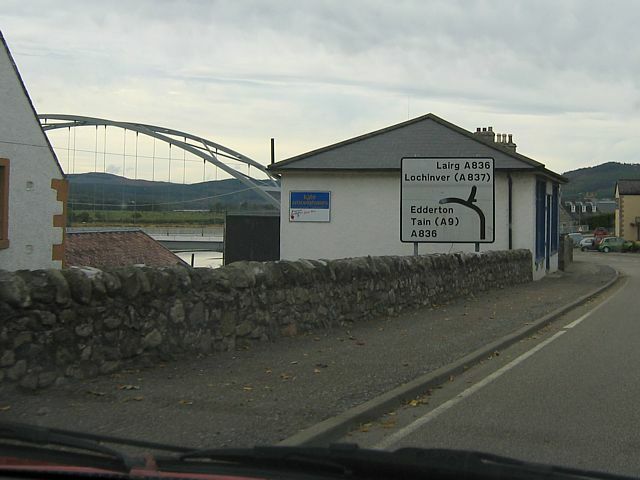 Instead of taking the A9 back across the Dornoch Firth I took the A949 west to Bonar Bridge and crossed there, returning to Tain via the A836. 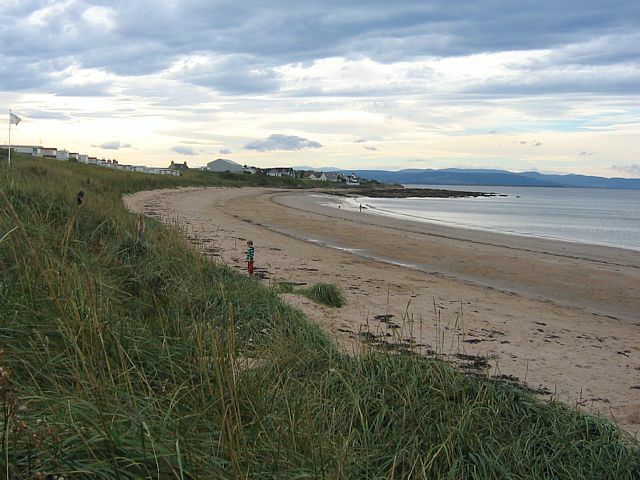 Then after Tain I took the B9165 to Portmahomack where I found the most gorgeous beach. 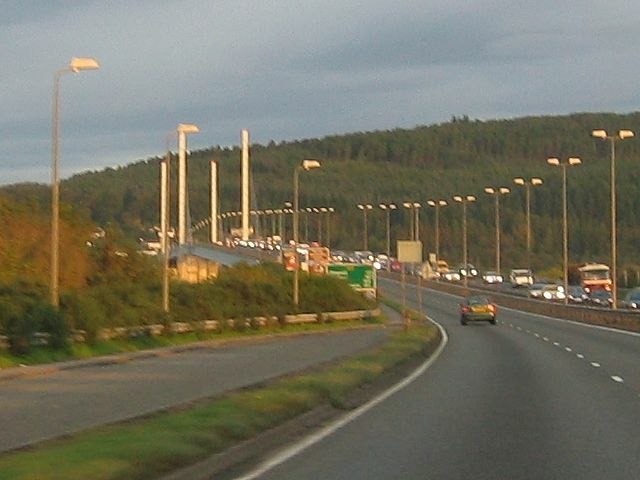 Then back to the A9 and back to Inverness. 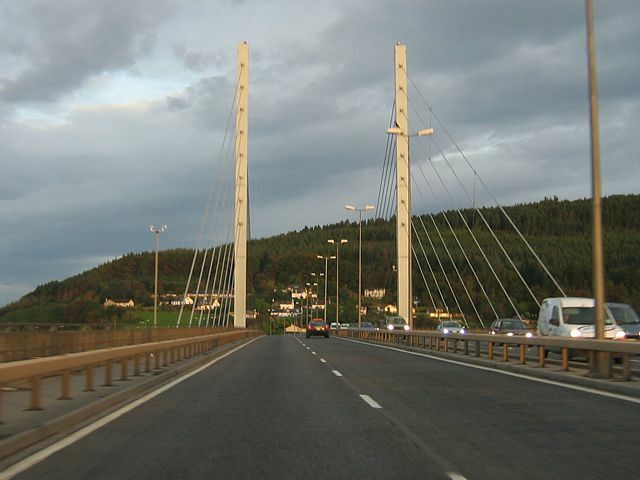 Crossing the mighty Forth Bridge as I head North out of Inverness. 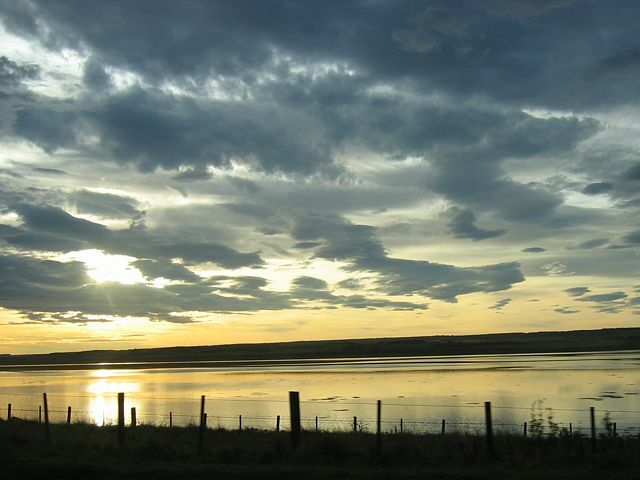 Crossing the Cromarty Firth and seeing the sun rise. (I started pretty early.) 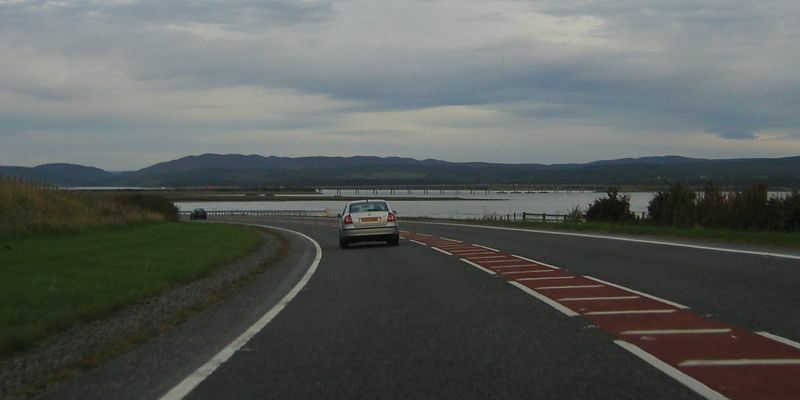 The Dornoch Firth and the bridge across. 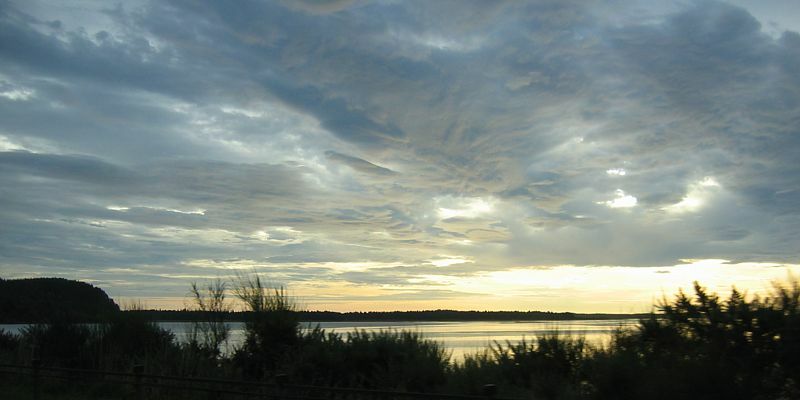 A glimpse of Loch Fleet over the roadside plants under a fascinating sky. North of Tain the A9 is a much more interesting road. 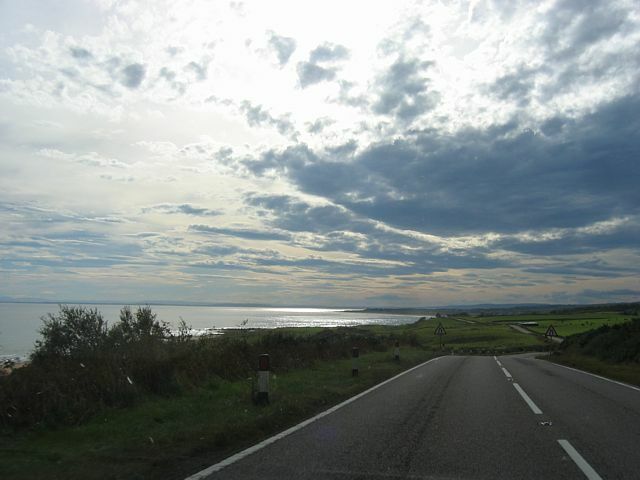 Onwards and Northwards... Another cool skyscape as I approach Brora from the south. 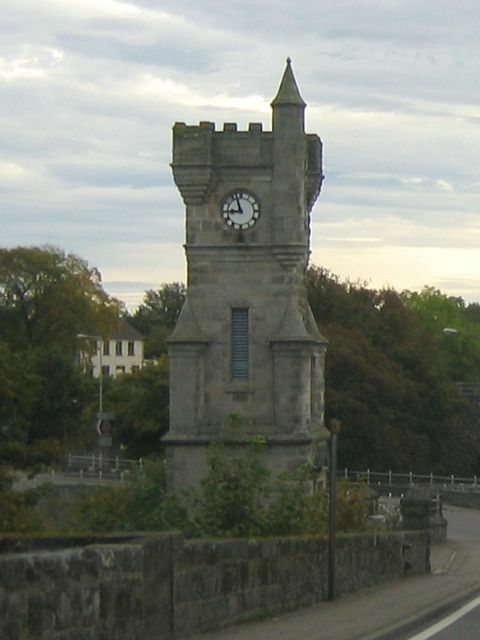 Clock Tower in Brora. 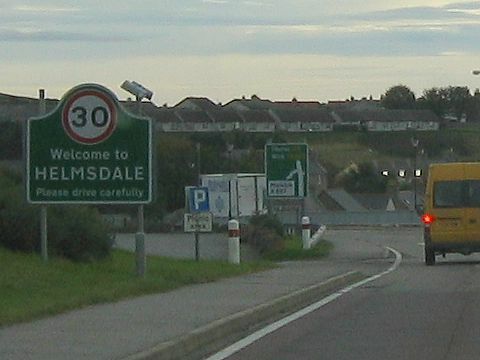 Getting close to my turnoff at Helmsdale now. The scenery continues to delight. There's my turnoff. The single track A897 cross country all the way to the north coast. 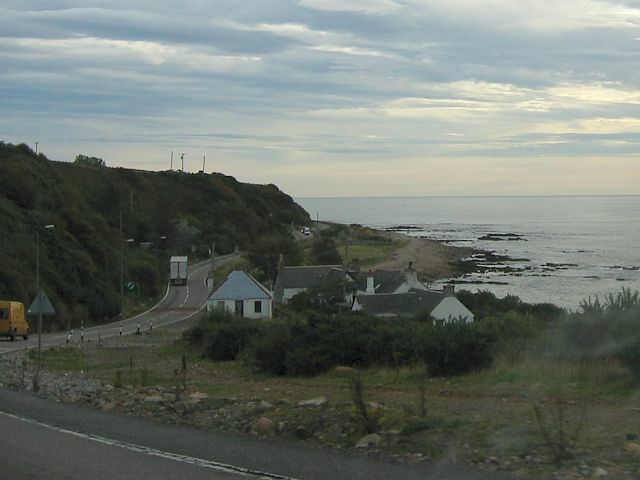 Travelling along the A897 from Helmsdale to the north coast. This was an excellent road. Narrow but great fun, with varied and generally pretty landscapes. Then through the dunes on the horizon the sea appeared. 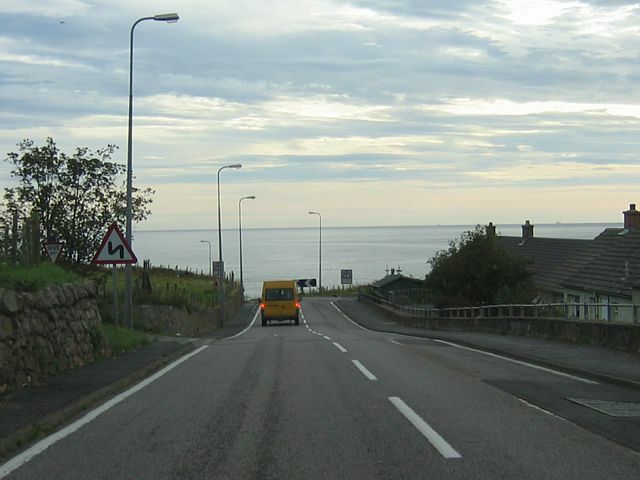 And now on the A836 entering Caithness headed East along the north coast. My first view of the Orkney Islands as I approach Dounreay. 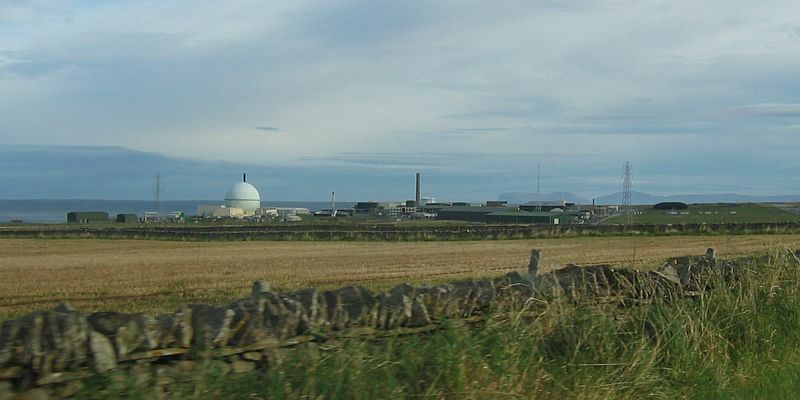 Driving past the infamous Dounreay nuclear reactor. 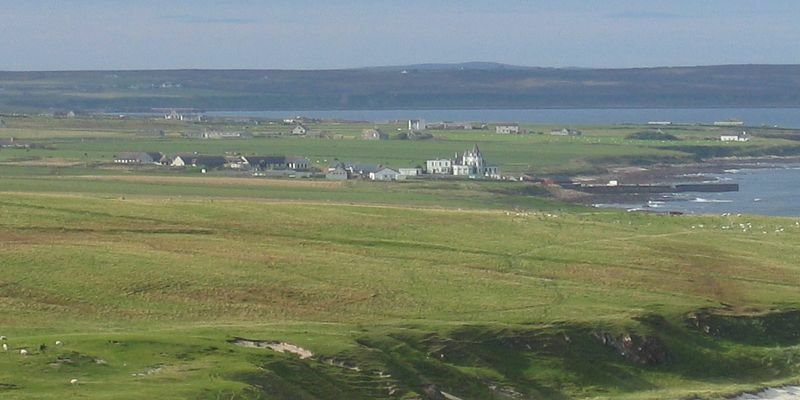 Thurso Bay (Right), Dunnet Bay (Centre) and Dunnet Head (Left) from just west of Thurso. 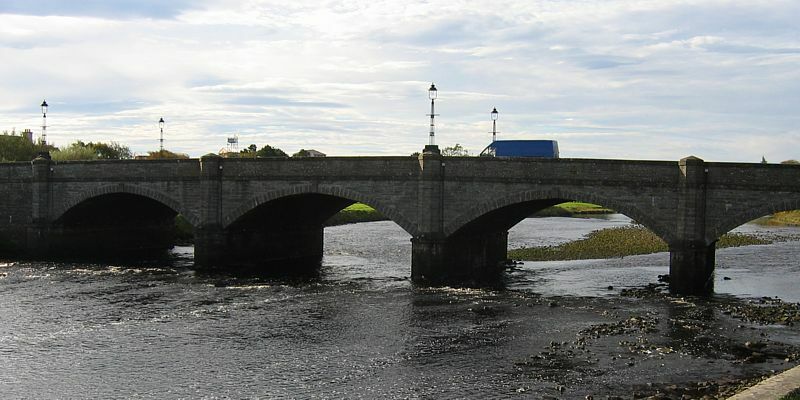 The main bridge over the River Thurso in the town centre. 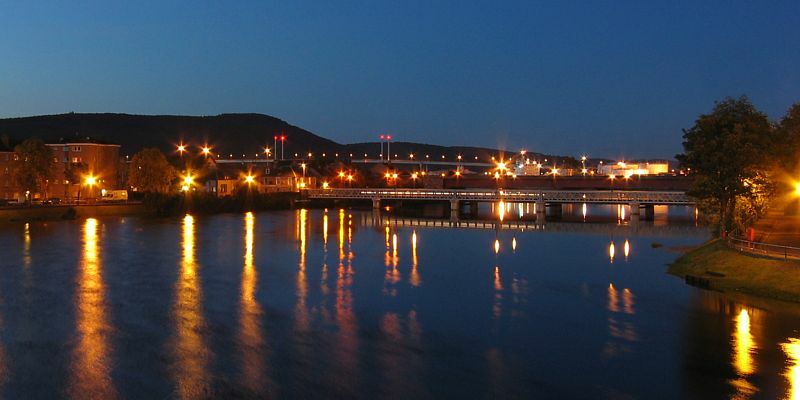 Seen from the west bank. 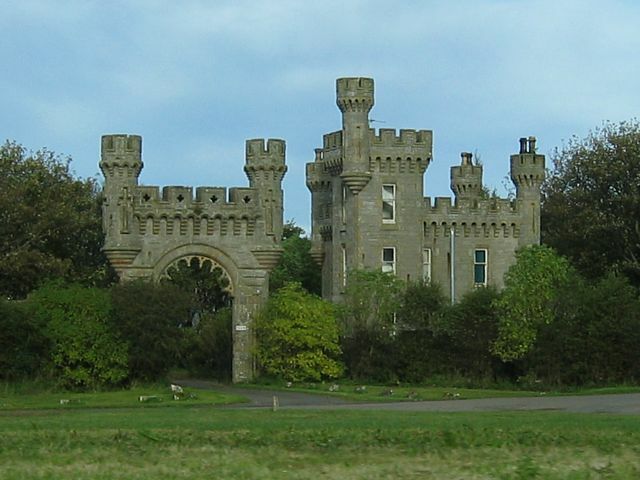 A pretty castle building on the Eastern outskirts of Thurso. 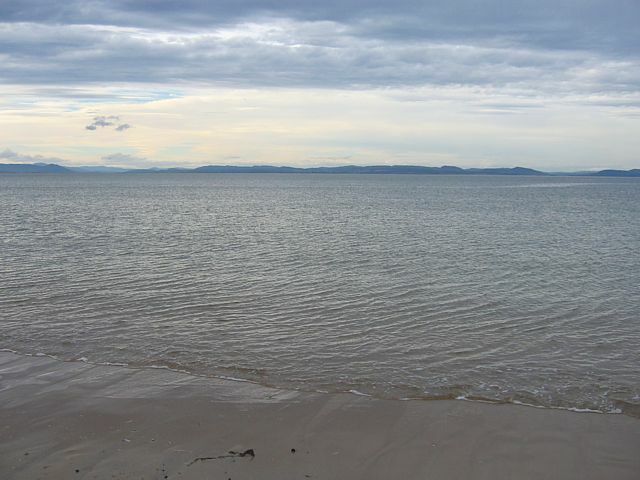 Dunnet Bay from just East of Castletown. 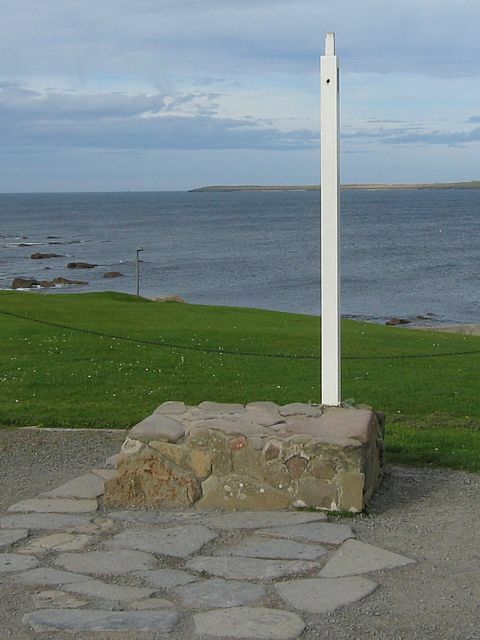 The most northerly point on the British mainland. 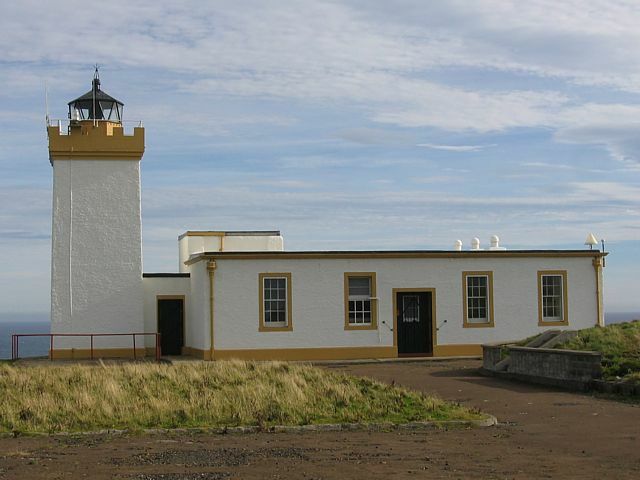 Dunnet Head, occupied by a lighthouse. 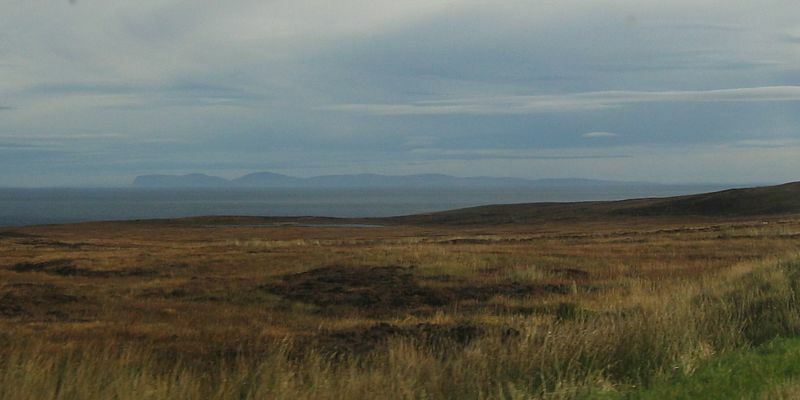 With the Orkney Islands visibly across the Pentland Firth. 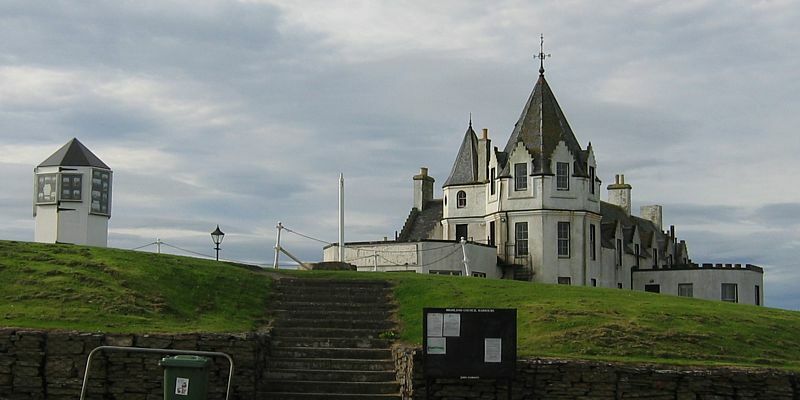 On the way to John O Groats I took a D tour. 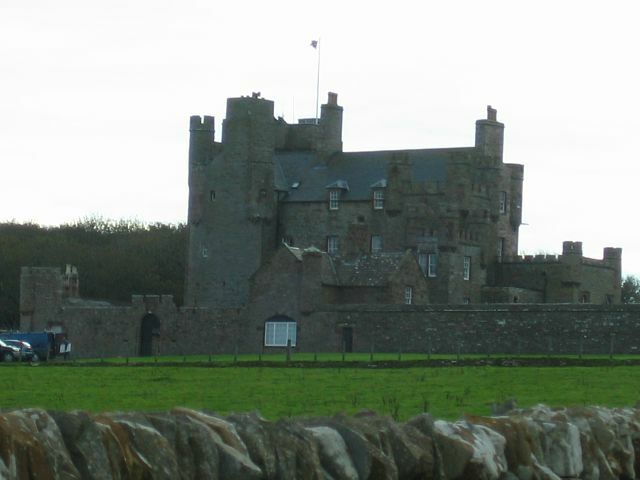 I found Castle of Mey by accident while looking for another place. Mike from Harrow, Middlesex visits Harrow, Highland! They even have a little harbour hidden below the scrub. Not the friendliest of places though, so only a passing visit. 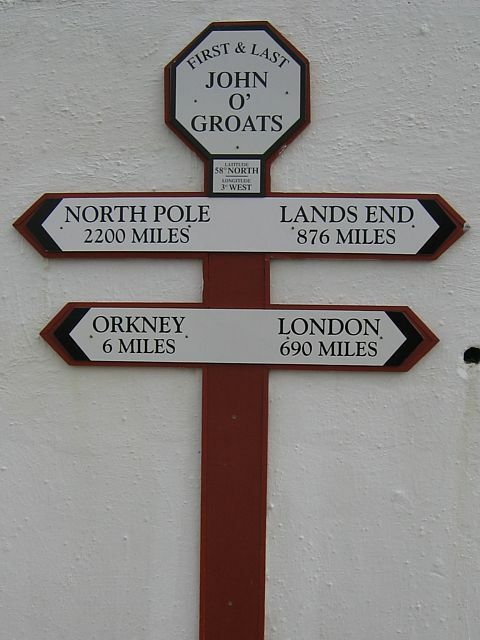 The famous signpost at John O Groats. Atleast it would be if the man was present to add signs to it. For me it was just a stick in the ground. 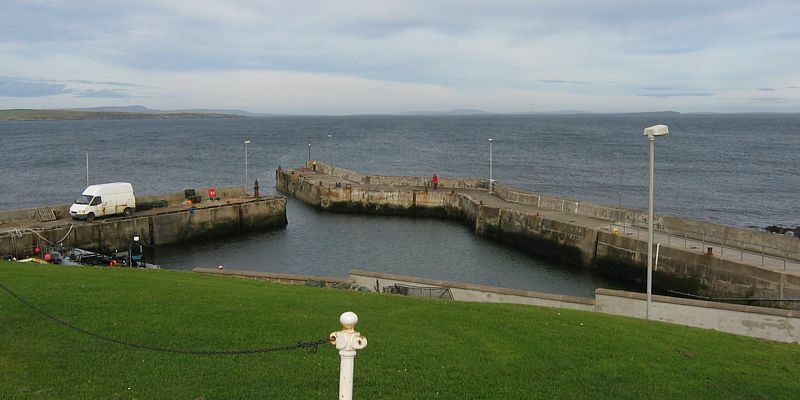 The John O Groats harbour. A replica of the sign on the wall of a tourist building by the harbour. So I appear to be almost 690 miles from home. A pretty building is present. 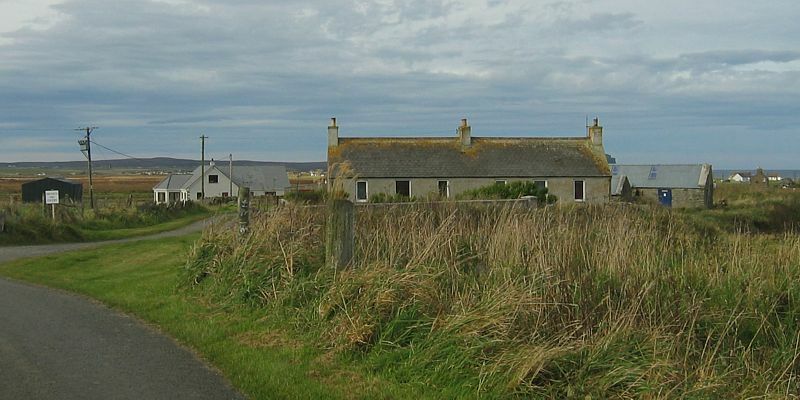 Otherwise John O Groats is quite a bleak rugged place with not much there. Guess I'll have to go visit Lands End soon now to complement these pictures. John O Groats isn't quite in the Northeastern corner though. 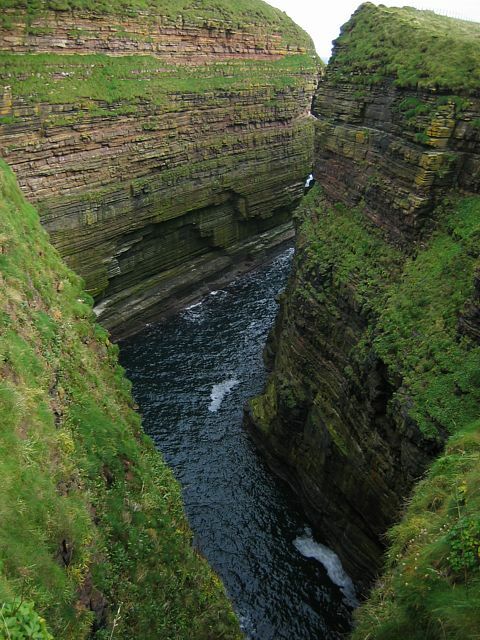 Looking back from Duncansby Head further East. At this point my car is the most northeasterly car in the country. 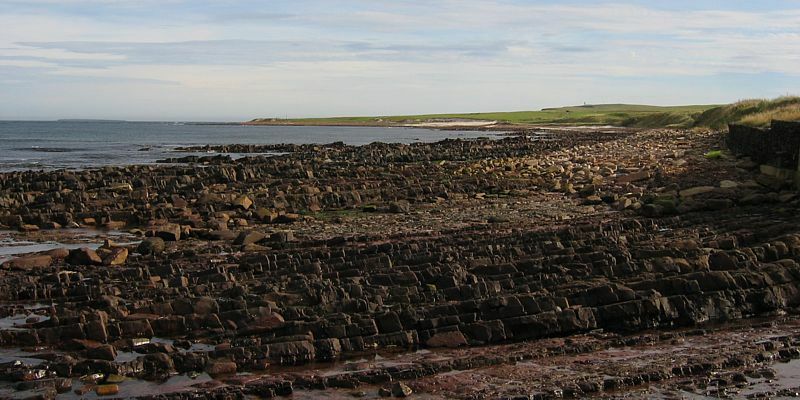 Orkneys visible in the background. 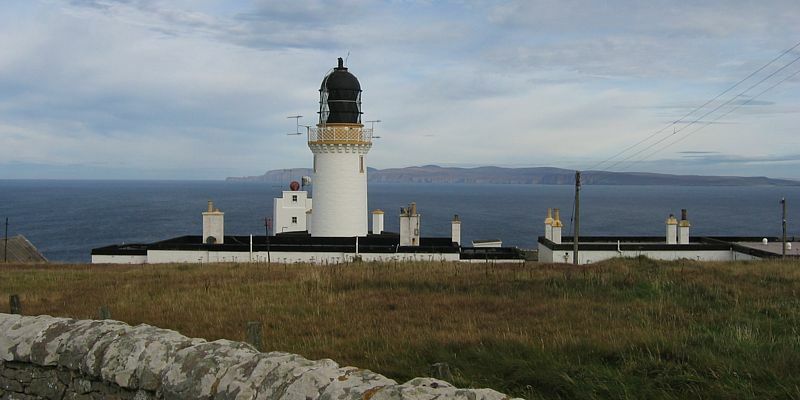 Duncansby Head Lighthouse. 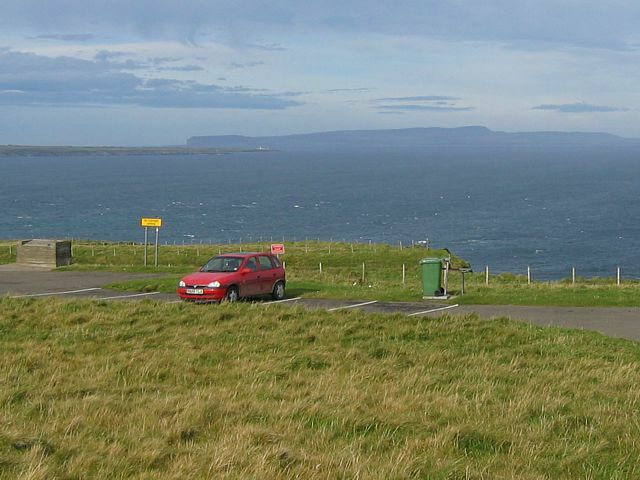 To the left is the Pentland Firth and the Atlantic. 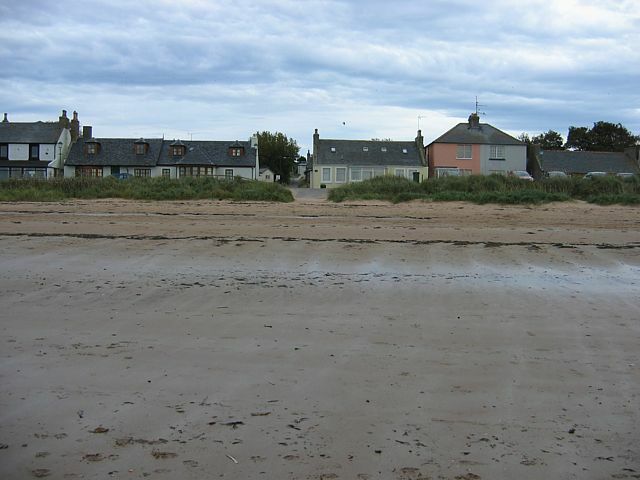 To the right is the North Sea. 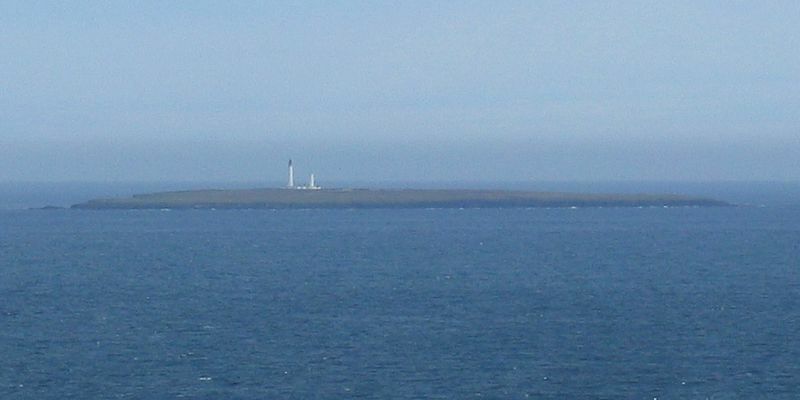 The Island of Stroma. 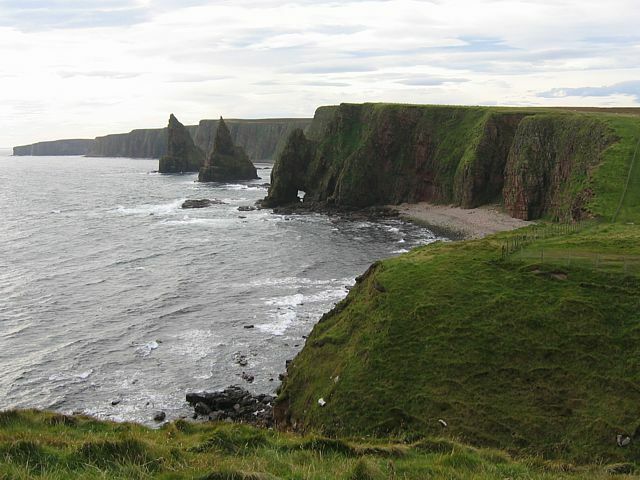 Duncansby Head is surrounded by cliffs. 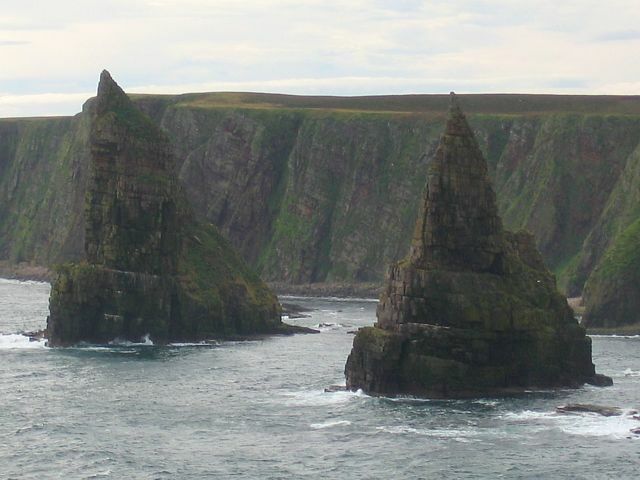 Plenty of evidence of erosion, including the Duncansby Stacks. Contrast isn't so good as this was looking Southwards into a bright sky. Panorama taken at the Stacks. 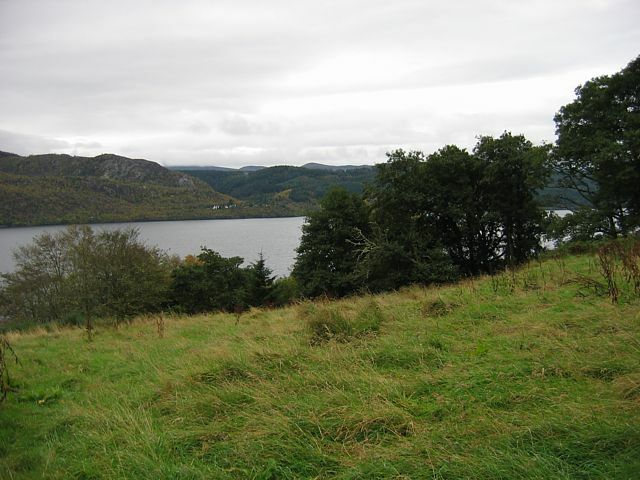 North sea to the left. 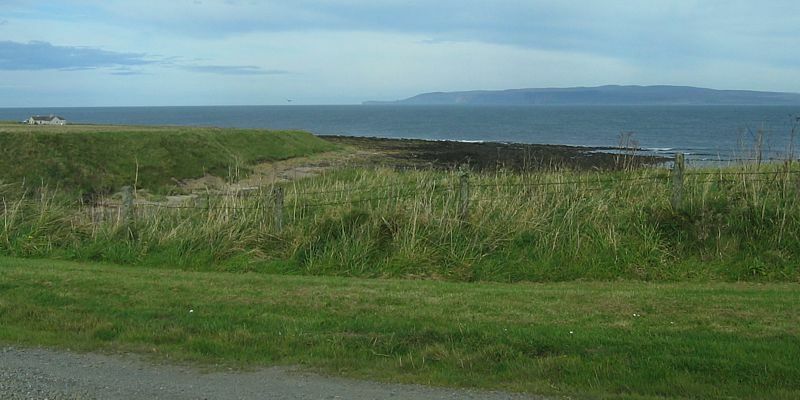 Pentland Firth / Atlantic visible across the peninsula to the right. Time to head south again. 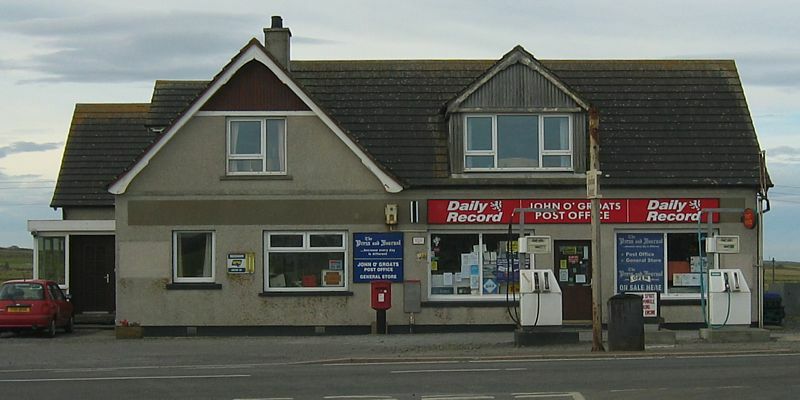 Back past the most Northeasterly post office on the mainland. 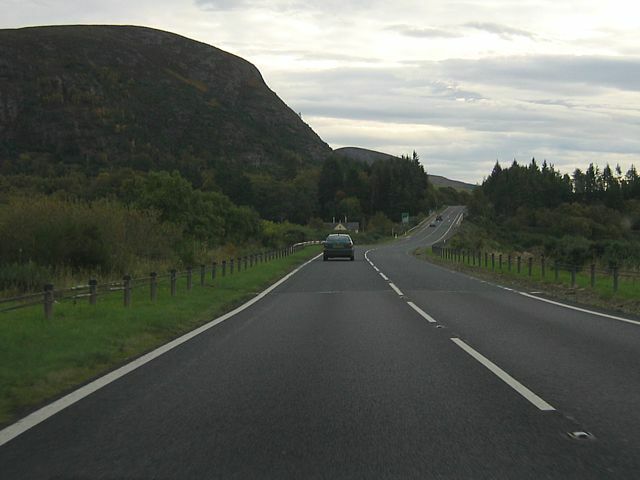 The A99 was a joy to drive on. 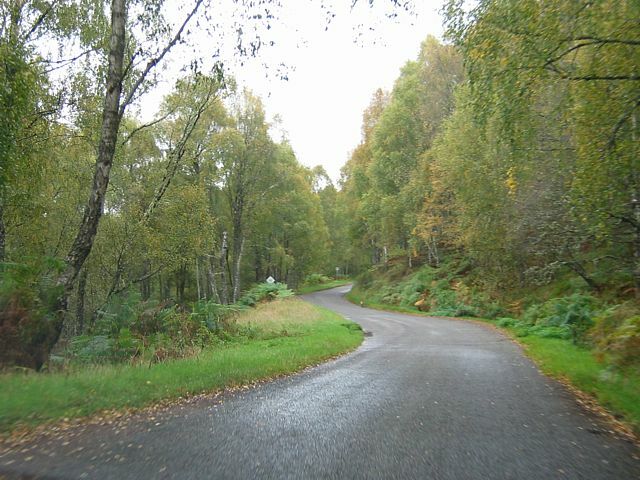 Empty, decent tarmac, gentle twisties and lovely rolling countryside. I rejoined the A9 at Latheron. 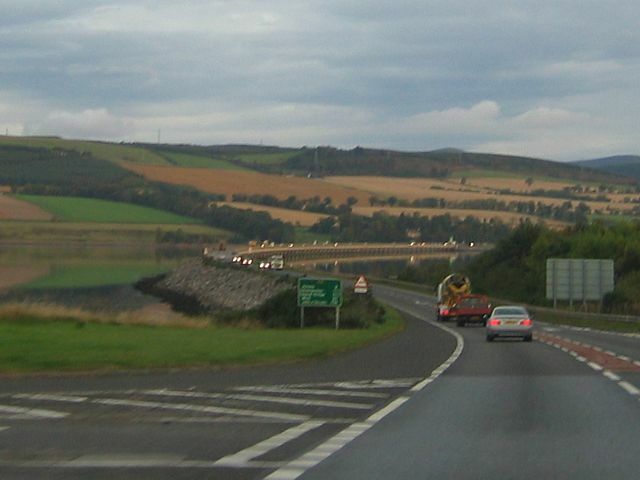 Carrying south on the A9 just past Dunbeath. 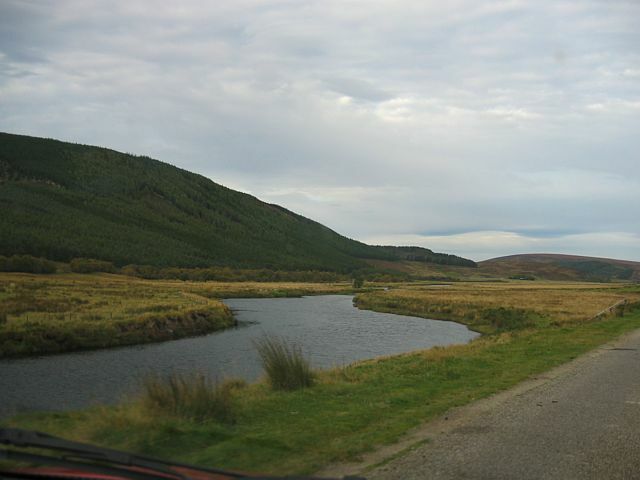 Approaching Dornoch Firth I decided to take a scenic D tour onto the A949 and cross at Bonar Bridge. 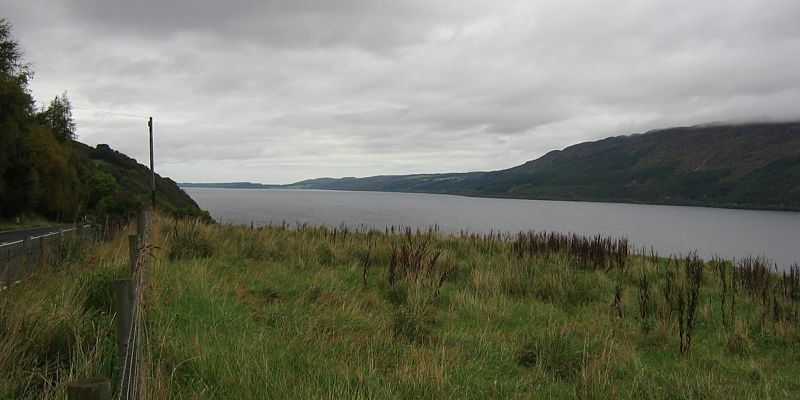 Then the A836 took me back along the south side of Dornoch Firth to Tain. 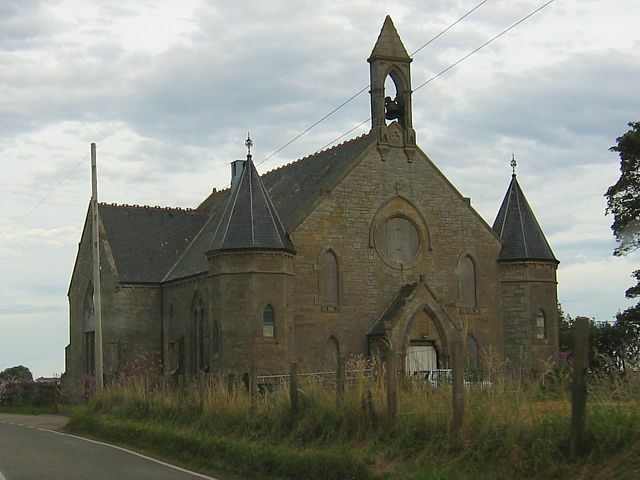 A church somewhere between Bonar Bridge and Tain. 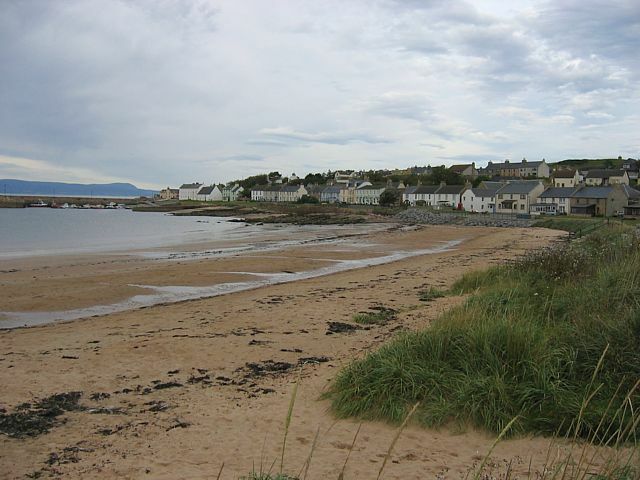 After Tain I explored the B9165 to Portmahomack. At the end of the road I found the most gorgeous beach. If only the water wasn't so cold... Was well worth a stop. After this I headed straight back to Inverness. This was the day I transferred to Aboyne. 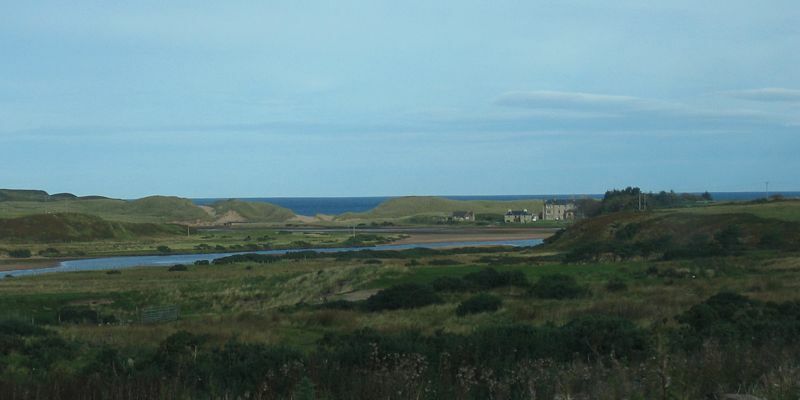 I took the A9 southwards until I found the A938. 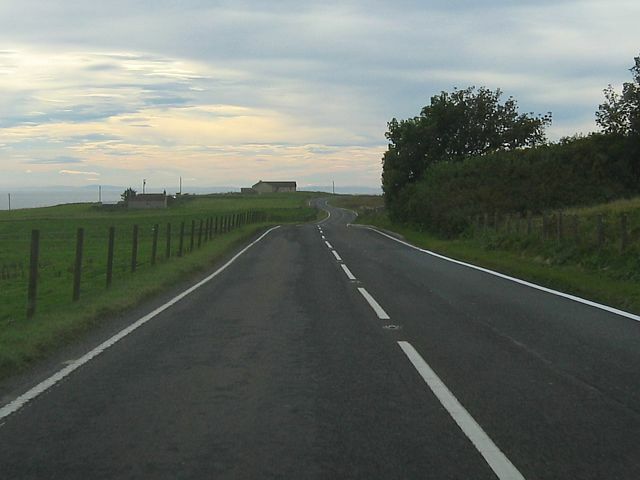 This road took me to the A95 and then the A939. 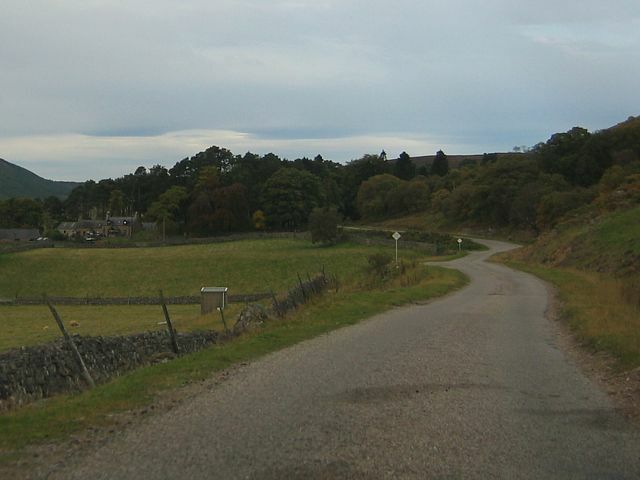 This road was a fun romp over some wild terrain, including the Lecht Ski Centre on high ground. 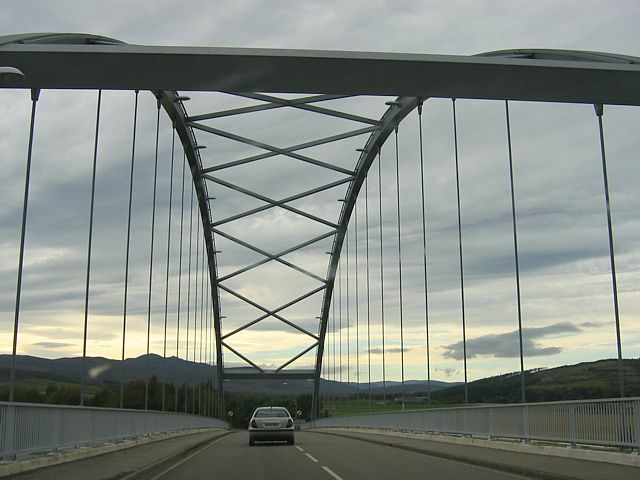 Eventually I came out on the A93 at Ballater which then took me directly to Aboyne. 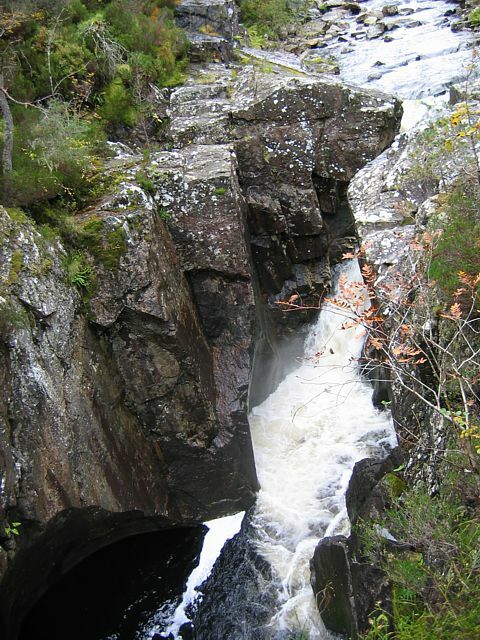 From this day onwards see the Aboyne 2007 piccies pages for more pictures. Please click here to go back to Scotland 2007 Page 1.